IAC Halewood are Accelerating their Industry 4.0 Transformation by Implementing PivotWare Advanced Process Control! IAC Halewood working together with Desoutter have implemented the Desoutter 4.0 solution, PivotWare Advanced Process Control. Find out how PivotWare has accelerated their Industry 4.0 transformation towards a smart auto factory for a flexible future! 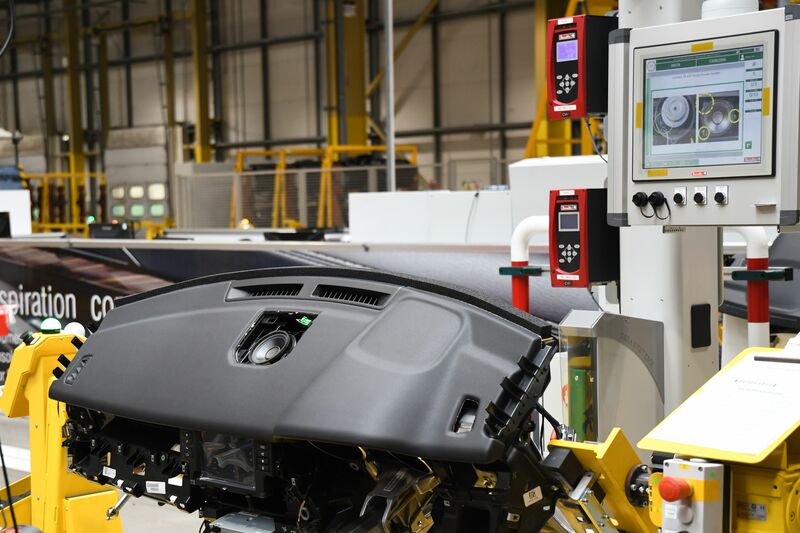 International Automotive Components (IAC), a leading global supplier of automotive components and lightweight vehicle solutions, have implemented Desoutter 4.0 and Smart Factory applications at its Halewood, United Kingdom, facility to provide customers with enhanced flexibility and efficient manufacturing of high-quality interiors. The new applications being launched at IAC Halewood feature the Industrial Internet of things (IoT), smart logistics, cross-company integration, real-time capacity data utilization, and collaborative robots (cobots). Here at Desoutter, we are committed to turning Industry 4.0 into products and services that deliver maximum benefit to our customers and partners. From reduced downtimes, to more flexible production processes with lower costs, Industry 4.0 has the potential to transform the way organisations perform. IAC Halewood working together with Desoutter have implemented the Desoutter 4.0 solution, PivotWare Advanced Process Control which assists their organisation to boost their productivity, uptime, and flexibility when producing high-quality vehicle interiors. With PivotWare Advanced Process Control, Desoutter shows the digitised future of assembly lines. We are fascinated at how effectively the work assistance function ensures efficient production processes and drastically reduces downtimes. Desoutter 4.0 proves that complexity and a high variety of variants are no problem for economical assembly thanks to digitisation, the use of smart tools, and software solutions. Find out how Desoutter 4.0 can Accelerate Your Transformation towards Industry 4.0! Click here to access our White Paper, which acts as a gateway towards that transformative journey and explains how Desoutter and its partners can work together to create smart factories of the future! Thank you Assembly Magazine for publishing the article “IAC Assembling Smart Auto Factory for a Flexible Future”. To read the complete article please click here.